Purex is rolling out a new Triple Action formula across their entire liquid laundry detergent line, and as a Purex Insider, I have one of the first chances to tell you all about it! The new and improved Triple Action formula delivers even better on Purex's promise to leave your clothes bright, white and clean, and as always, for half the price of the leading brand. Over the past year, Purex's research and development scientists have been working hard to create an even better formula...and not just a better formula, but one that will continue to deliver the value that Purex stands for. 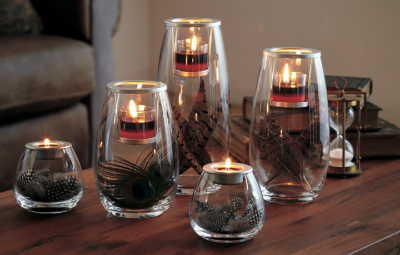 The new Purex is just that...an even better clean, for half the price. The new Purex Triple Action leverages the best parts of their current formula, combined with new additions, to deliver great cleaning plus improved brightening power. 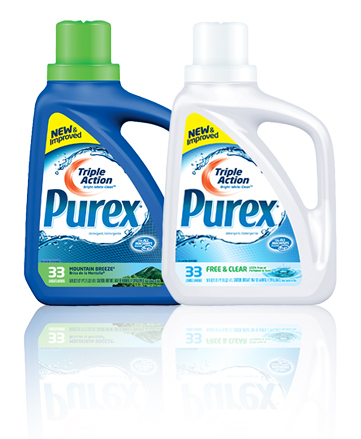 Purex Triple Action is currently available in both Free & Clear and Mountain Breeze varieties.